Discover New Music With The Music Box - Sam Enjoys & Shares! Subscription boxes are all the rage! 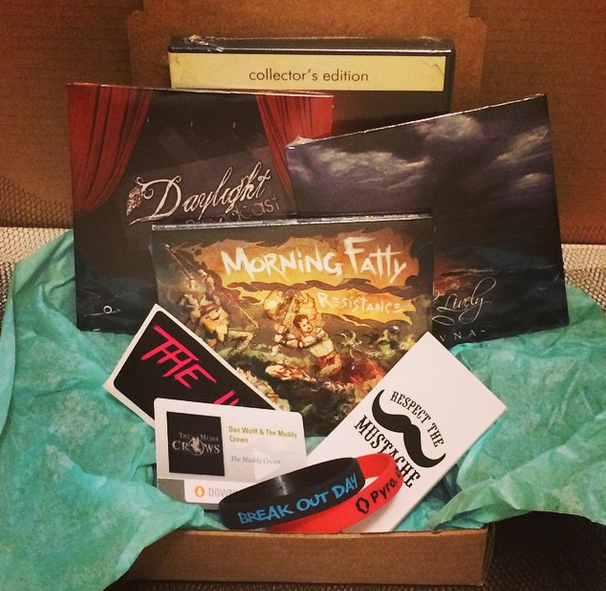 It is no surprise, receiving a subscription box is a little like receiving a gift. 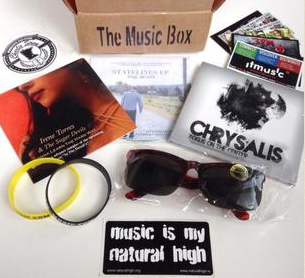 The Music Box is a fun subscription box that introduces you to new music every month! Disclosure: I received a complimentary bundle from The Music Box including a compilation CD and a box. I was impressed with the content in my Music Box. Each box apparently contains at least 2-4 music CDs and other goodies. That was very much my experience. I was surprised at the quantity and the quality of the music CDs. My box contained hours of listening pleasure and I liked all of it. It turns out that every Music Box is packed according to subscriber preferences and it is rare for two boxes to be the same! The Box: $10 per month, contains 2-4 CD’s & other goodies. The Envelope: $5 per month, is a compilation CD with 15-20 songs. Featuring genres such as Pop-Punk, Pop-Rock, Indie, Alternative, etc. The Bundle: $13 per month, contains one music box and one envelope. I highly recommend The Music Box for any music lover who likes to discover new music. Q: How did the idea come about to offer a music subscription box like this? A: My husband and I met at a music college (Full Sail University) about 5 years ago, so we’ve both always had a passion for music. We really wanted to find a way to promote up and coming artists and at the same time give music lovers an opportunity to discover them! One day I was opening my BirchBox and it hit me… THE MUSIC BOX! Q: How do you choose the music on the compilation CD? A: Choosing the music for the compilation CD actually takes a lot more time than one would think. You can’t just throw all the songs on the CD and call it good. Kory (co-owner & husband) listens to every song and with his magical ears he is able to put the songs in order, in a way that the music just flows. Q: Where do you find the bands that you feature? A: Most of the artists we feature either submit their music to be featured or we recruit from social media like Twitter and Reverbnation. Editors note: There is an artist contact form on The Music Box website — here. Q: How do you choose the items in the subscription box? A: Almost every single Music Box is different. We never “pre-make” boxes, every box is “made-to-order”. This process does take a long time but we try very hard to give each subscriber what they ask for. So, if they want Pop Rock music, we add at least 2 Pop Rock CD’s. And then from there we add the extra goodies like stickers, wristbands, T-Shirts, autographs, download cards, etc. For more information, visit The Music Box website or The Music Box subscription sign up.